In addition, it’s important to highlight that Grupo Elron is not trying to foist a new religion; Mankind has had enough with false dogmas and distorted teachings throughout history. Grupo Elron has nothing to do with the church of Scientology COS, Religious Cults or other groups whatsoever, we do not have a physical organization as many other religious organizations or esoteric groups may have and we are not looking for followers either because what was revealed by the Masters of Light belong to mankind and not to a certain group. These channeled messages and all the teachings published on this website are proposed and are free for you to read, nobody is forced to read them and accept the information contained in here. If you disagree with the messages of the Masters of Light, you are also free to do so because that is also part of your Free Will. As we said, these spiritual teachings are proposed, not imposed. Every human being has Free Will and therefore, each one of us is free to choose the path that one wishes. Grupo Elron has never communicated telepathically with an incarnated extraterrestrial or 10% incarnated alien, simply because telepathy does not exist in the physical plane. All the Mediumistic sessions have been held always with the 90% spirit, higher-self or Thetan or a 100% pure spirit. This means that those people, also known as "contactees," did not communicate telepathically with physical aliens either, instead, they usually communicated through mediumship with spirits of error, who pretended to be aliens. It’s important to highlight that spirits are capable to embody in any planet of the universe if they find a compatible mental decoder capable to decode spiritual ideas. In addition, only a 10% of the spirit is capable to embody and the 90% remaining, known also as thetan or higher-self remains in the respective spiritual plane. Both, the thetan and its incarnated part are the same spiritual unit, therefore, when a superphysical Entity is contacted, it usually responds as if the thetan were the incarnated part, answering from the point of view of the 10%. For example, when we contacted with Kronbus, the time traveler, we’ve contacted with the 90% spirit or Thetan that came from the future and the incarnated part or 10% ignored that communication. If you could understand easily the teachings of the Masters of Light given to mankind in the Third Millennium, Grupo Elron would have no reason to exist. The existence of our group is based primarily on these teachings that are so advanced for our time, perhaps centuries or thousands of years, and it is necessary to preserve these messages and protect them from "religious scholars" and bigots, so that future generations are capable to read and understand these messages. The way to accomplish this mission is through mediumship, which is the vehicle of communication between the physical and spiritual plane, or more precisely between the physical world and the superphysical world. In the history of our planet, men who brought enlightenment to our world and whose minds had advanced ideas were burned by bigots and ignorant fanatics because they were not understood. Many of these men were crucified, burned at the stake or sacrificed because they had innovative ideas opposed to those religious dogmas and political interests during the dark ages. (the case of Giordano Bruno is a good example of this bigoted fanaticism). Today, history is somehow repeating itself, but now aside from bigots, there are also skeptics, who are up against these messages and new paradigms. The problem is that they are already conditioned to a certain way of thinking and most of them have false preconceptions that prevent them to accept new paradigms. Short story of the beginning of Grupo Elron. All my life I was a consumer of esoteric books and my knowledge was so vast (well, at least I thought so before I made contact with the Masters of Light) I thought that I was ready for my guides to appear ( by the thing that says "when the disciple is ready, the teacher always appears"). However, the Masters of Light took their time to appear; at first, I consulted several mediums that distorted the concepts of the Spirits of Light. It was a very difficult time for me because when you get truths mixed with lies your mind is confused and it ends up without direction, furthermore, I was Interested in telepathic contacts when I employed a person who was a medium (I initially did not know it). The point is that through him I realized that I could talk to people as if mediumship were some kind of telephone. In the practice, there was something very strange, for example, if I talked to Peter through the medium, when I talked personally to Peter, he didn’t know anything related to our conversation. It took me a long time to realize that I was not communicating with someone in the physical plane, but with a spiritual entity in the superphysical world. In this case with his thetan or 90% spirit, who did not embody. Then, I also learned that the telepathic communication (telepathy) in the physical plane between incarnated beings was impossible, because what happened was nothing more than coincidence in some cases, and insights in others, but nothing more than that. In one occasion I published a notice in the newspaper Clarin (Argentina) in order to have meetings and share esoteric knowledge, among the people that came there was Jorge Raul Olguin, who at that time did not know he was a medium. I became friend of him and in several meetings we talked about many topics, until one day he decided to make a telepathic session because he felt deeply that he had mediumistic abilities. In short, we did it and the result was extraordinary, because the first one who was channeled was my Higher Self or thetan, who told me that he could finally communicate with me without distortions of the medium in the message. Then, the other Masters of Light began to contact, even the Master Jesus, and the transmission was so perfect that I realized that I had finally found the medium to develop the mission for which I had embodied: To help Professor Olguin in order to spread the New Knowledge for the Third Millennium. We also realized that Jorge, before of appearing as John Zebedee had incarnated as Ananda, cousin and disciple of Siddharta Gautama (Buddha). The first sessions held are in the second part of the book Heaven responds also published in this webpage. This is the story in few words from the beginning of Grupo Elron. I might add that the groups we wanted to form failed because we wasted our time on trivialities. Jorge then decided to held only private sessions, record them, and then spread the material once it was reviewed. All this sessions are published in our websites. About the name “Elron” the name consists of two words: "El" and "Ron." Since Ron Hubbard, founder of Dianetics and Scientology, often signed his letters as: "El Ron. "(Spanish) similar to "El Diego", "El Hector", "El Daniel", etc. It was the year 1997 when I met my future collaborator. At that time we were gathering at a cafeteria in downtown Buenos Aires and we gather more than 25 people while we were explaining about mediumship sessions we had the weekends and the messages transmitted by the Ascended Masters. Then, I decided to adjourn the meetings (and obviously also the sessions) when I noticed that more people went to the bar at the meetings to drink coffee and very few people went to listen to the messages of the Masters in the sessions. We noticed an increasingly large indifference, jealousy and also competition ... The ego, that kind of roles of ego took control of the will of the people. I clarify that I noticed that in other meetings I attended to, regardless of ours, where two famous teachers at a conference in Argentina started a useless discussion, each one trying to impose his own point of view ... Just to satisfy his own ego! Then, we held private sessions with my collaborator and few people who wanted to ask about deep topics, but He noticed that the questions were mainly aimed at personal issues which did not help other people more than themselves and I suggested him to held sessions between the two of us only, record them and then publish the information on the internet, in that way everybody would be beneficiary of the sessions. Many people have written to us, asking for the solution of a crime or the whereabouts of a missing child. As a matter of fact, we are not to supplant police authorities; moreover, if we released very sensitive information, we would be jeopardizing our mission. If we disclosed information only known by police authorities, we would be the main suspects and nobody would believe us if we said later on that our source of information is spiritual. In the case of missing children, heartbroken parents have also asked us for the whereabouts of their missing children; once I tried to solve the mystery of missing children and I had a list of 100 missing children. What was the answer of the Masters of Light? They told me most of the cases were related to karmatic issues and the Masters of Light couldn’t interfere when there was karma in between, the rest of the cases was related to painful incidents very difficult for the parents to accept. For that reason, I don’t even dare to ask about these topics anymore because the answer could be shocking for the parents to assimilate and I would not be capable to reveal something like that. Would you? We do not ask topics related to political issues for the same reason and we do not ask things that later on we won’t be able to publish, we reveal all the information the Masters of Light teach us. Whenever we communicate with the Master Jesus, for example, indeed we are not communicating with the historical Jesus who lived two thousand years ago, but with the current 100% spirit who animated the role of Jesus (Ien-el) who animated many other roles in the physical plane. We simply say that we communicate with Jesus or Ron Hubbard or Krishnamurti, etc., So that people know the spirit we are talking about. We simple name the best known incarnation that a spirit played. In the Bible, these words of Jesus were distorted due to ignorance because they were translated erroneously. The word hate doesn’t make sense because the parents are to be loved, Jesus meant with these words that we do not have to be attached to those roles, which means two different things. As we have said many times, we cannot communicate with a dead person because the person who passed away was just a role in the physical plane. It's like trying to contact with the spy James Bond, who was only one of the many roles the actor Sean Connery played; and of course it doesn’t make any sense to communicate with the “actor-spirit” who played a role of a dead relative because the spirit has nothing to do with that relative, in the same way that Sean Connery has nothing to do with James Bond. 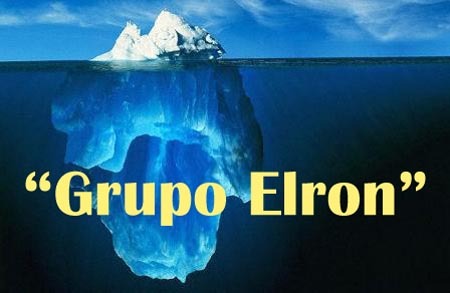 About Grupo Elron and other mediums. You may find hundreds of mediums on the internet, however you will realize their false or distorted mediumship because many of them say that they have contacted with the dead or even incarnated aliens assuming that these roles exist in the spiritual world as well, they naively believe that telepathy is possible in the physical plane or they still believe that astrology is a real science, moreover, most of them believe that they can predict future events (fortune-telling or divination) like some TV series show, however, we know that only Eon and time travelers are capable to know future events for sure. Finally, it’s important to mention that mediumship is a double-edged sword, if a medium is psychologically unbalanced, he/she might end up in a mental institution. Only a medium who is clear (without engrams,) without preconceptions an above all things without EGO can channel messages of Light accurately. For that reason we warn those people who have the gift of mediumship, so that they do not channel unless they have these requirements. Obviously, we cannot recommend mediumship to everybody because it’s extremely risky, the brain of the medium is at the stake, if an unbalanced medium has psychological problems or his/her mental decoder (brain) is damaged, the consequences can be unpredictable. Skepticism is inherent to human beings. We are born to be skeptical, we live and die being skeptics, the only way to overcome skepticism is the data, not only with true data, but also with false data, because false information also helps us to realize what the real information is. We are born without reincarnative memory, which means that we do not remember what we have done in past lives; we do not remember our past actions in other incarnations. It would be impossible for us to live knowing what we have done in a past life because not all of us have been ethical people in the past. That’s the case of skeptical people, since they don’t remember where they came from, they choose not to believe in the spiritual world, because they do not remember the purpose of their incarnation, they keep denying the existence of the spiritual world based on a false preconception or a bad experience with the so-called religion, However, the funny thing is that skeptical people who deny the existence of the spiritual world, also fail in their logic because they cannot prove that the spiritual world doesn’t exist either. The teachings of the Masters of Light are like the pieces of a puzzle, one cannot know for sure what the puzzle is about with only one or two pieces, but many people who have read few messages do not wait to have all the pieces of the puzzle together and make the mistake of criticizing before they know what it is all about. They are not interested on learning but on imposing their ideas, they don’t even consider that they may be wrong. We don’t pay attention to them because if we did, we would neglect the people who are willing to learn and understand. When Ron Hubbard disembodied, the leaders of Scientology at the time, including Guillaume Lesèvre and David Miscavige, closed the doors to any innovation, leading Scientology to stagnation and preventing opportunities for this new technique to the improvement of man. Fortunately, some Scientologists (not all of them) have verified the authenticity of the communications with Ruanel (Ron Hubbard). However, they have found closed-mindedness in the leaders of COS.
Grupo Elron, following these words and the teachings of Ron Hubbard, made the attempt to communicate telepathically with his spirit and the results were positive, once again confirming that he had told the truth. And not only could we contact telepathically with the spirit of Ron Hubbard, but with the same Planetary Hierarchy that from that time guided the destiny of the Group. Needless to say that this event could have been the most extraordinary event since the foundation of Scientology, and it was revealed to Guillaume Lesèvre, David Miscavige and other scientologists. They were invited to a session of telepathic contact, but they didn’t pay attention to the invitation. The most tragic of all things is that both Ron Hubbard, as a spirit, and the Planetary Hierarchy have left Scientology and Scientologists without support, because they cannot do anything for them. In this sense they are respecting their Free Will since even the most Higher Entities respect Free Will. Scientologists, therefore, are on their own until they realize that there is no evolution without mediumship and they finally try to communicate with Ron Hubbard. About Grupo Elron, copyrights, and trademarks. All the material contained on this site (blog) can be reproduced and distributed by all means possible without any restrictions. However, we suggest that you make reference to the source based on the ground that we take full responsibility for everything we publish and so you would be preventing plagiarism. In some cases, the images and/or videos were extracted from the internet based on the assumption -in good faith- that they were free for everybody to use. If eventually, this is not the case, please notify us immediate for replacement. In addition, these messages can be translated into any other language at any time. Unfortunately, there are many more pages yet to be translated from Spanish. And we are working hardly in order to translate many more channelings and thus serve mankind in the process. The translator of these messages does not feel necessary to ask the indulgence of the readers and critics for the many defects of literary style, and the imperfect English which may be found in these pages. The translator is a foreigner, and his knowledge of the English language was acquired late in life. The English language in this webpage is used because it offers the most widely-diffused medium for conveying the truths of the Masters of Light to many more people. Since the teachings of the Masters of Light are like the pieces of a puzzle, you can start with any piece of the puzzle you like. However, we recommend that you start with the basic ideas or the Spiritual concepts in the order you would like to read them. Later on, you can start with the Messages of Light (From the book Heaven Responds), which are published in chronological order. Also, if you are not accustomed to reading on the screen of your computer, feel free to copy the pages you are interested in, and print them out, and if you feel like it, share the information with your friends and relatives. Remember, the teachings of the Masters of Light belong to mankind, not to a certain group or religious organization. Therefore, we hope that these channelings will reach many people in this generation or future generations. Hopefully, they will be translated into many more languages so that Humanity acquires a new level of consciousness. There is always is a Higher explanation for everything. The Masters of Light are providing the answers. There are vested interests that will try by all means that a man does not become wiser, because when a man is wise, he is not easy to manipulate. Grupo Elron has no hidden lines. All the teachings that we receive from the Masters of Light are published for you to read. This means that those who read our material know as much as we do. Keep in mind that we do not hold an opinion, we are only conveying the teachings of the Masters of Light, and we are not arguing with their teachings because it would be disrespectful towards them. We do not argue with their teachings because it would be so absurd as if an ant argued with an eagle regarding to what the eagle sees from the sky. Remember also that there are no mysteries, only a lack of information, and many times secrets are kept hidden on purpose. And there are no miracles; there are only unknown scientific facts. The main enemy of wisdom is not ignorance, but indifference. And selfishness is ego, your worst enemy. Do not be confused, no one is wise in all the fields of knowledge and we are also disciples. You could teach us many things that we ignore. Certainly you will find other groups of channelers that claim they channel the Masters of Light also. In this case you should use your common sense and always be rational. Remember that common sense is inherent to the truth. If an explanation hurts your common sense, then it is not true. And the choice is yours. Wisdom, as well as Goodness is not imposed but proposed. However, remember that humanity is like a chain, where every link drags the rest. If you are elevated, all mankind will be elevated, if you fall, we all will fall. That's why you're so important to us. This entry was posted at Saturday, August 07, 2010 and is filed under about us . You can follow any responses to this entry through the .